When Elle turned three, she started ballet, modern and tap at the local dance school. She went until just after her fourth birthday. She was watching Disney junior one day and on special agent oso, he was helping a little girl walk across a beam at a gymnastics class. Elle then announced that she didn't want to go to dance class anymore and wanted to start gymnastics. I was secretly happy as i started gymnastics at aged four also and loved it. I am so lucky in that the oldest gymnastics school in England is a half hour walk from my house and around the corner from the dance school. I managed to enroll her that day and she started a week later. 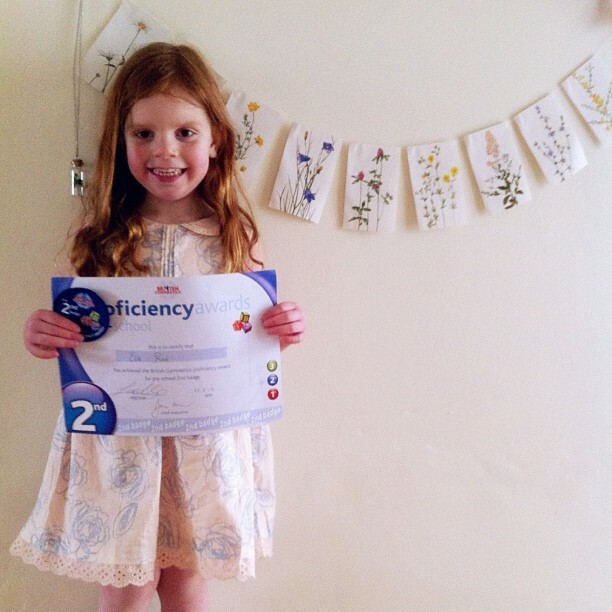 She absolutely loves it and today she was presented with her 2nd pre-school proficiency award and badge. She passed her first one in the first term when she started and has worked hard to pass her 2nd one. 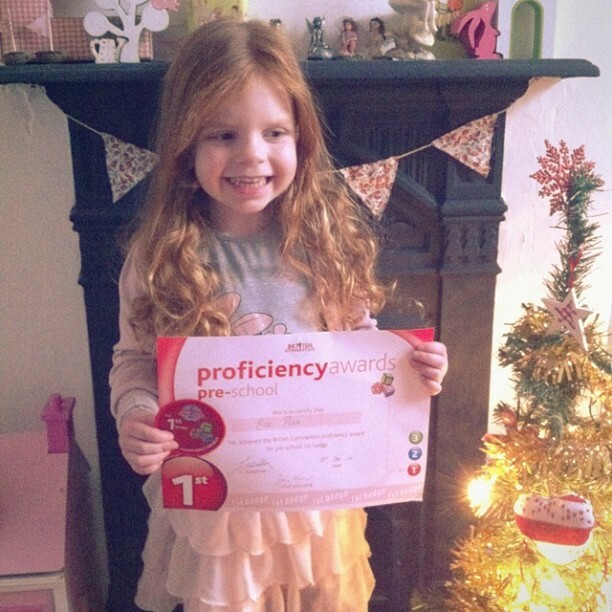 She is so proud of herself and has already told me she is going to work hard for her final badge as she wants to complete that before moving up to the bigger class in September when she turns five. Gymnastics is so good for her. She is so energized and loves running around and climbing and tumbling. Mia joined in today at Elle's class and i shall be enrolling her in September so i can take her when Elle is at school. How cool! and she is such a cute little girl. I have some of my best memories doing gymnastics and competing in meets! Glad she is enjoying the sport too!